Eternity Organized Poses For V4 is our new artistic pose pack designed carefully with attention to details to provide drama and passion to your renders! Our new hair model is out! Fits to Victoria 4 and Aiko 4, The Kids 4, Anastasia GND, and Kiki, Posey and Muggli. Introduces new gravity morphs that allow easy posing of the curls. It also has fits to adapt it to other figures that are not supported. With 20 mat poses for the hair, and 62 morphs to adjust and move it easily. Kiki can now use Renesmel Hair too, with this addon that is only $5! Our new product for Renderosity is a hair model for Victoria 4 and Aiko 4 (using the fit morph included), 10 mat poses for the hair and 9 mat poses for the hairband, and 75 morphs to adjust and move it easily. The number of morphs added (movement, adjustment, wind, bangs, volume, length...) give you freedom and ease of use. And it's available at Prime for $3.5! In addition, there is a fantastic addons by -Wolfie! We returned from Venice 4 days ago. We really wanted to make a journey. 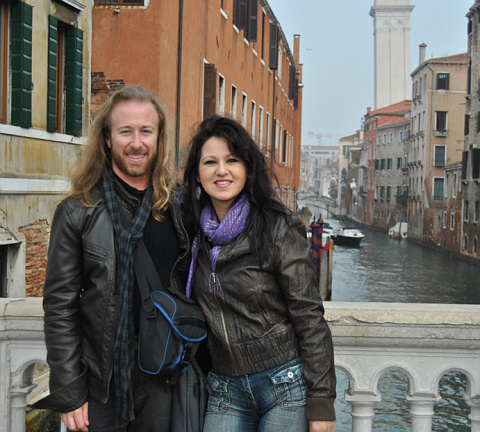 We had thought in several places to go, but finally we decided to go to Venice. 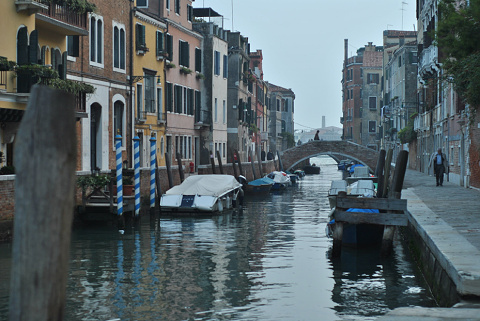 We took the plane from Spain to Venice, and it started to rain quite much. So we "enjoyed" a flight with turbulences. 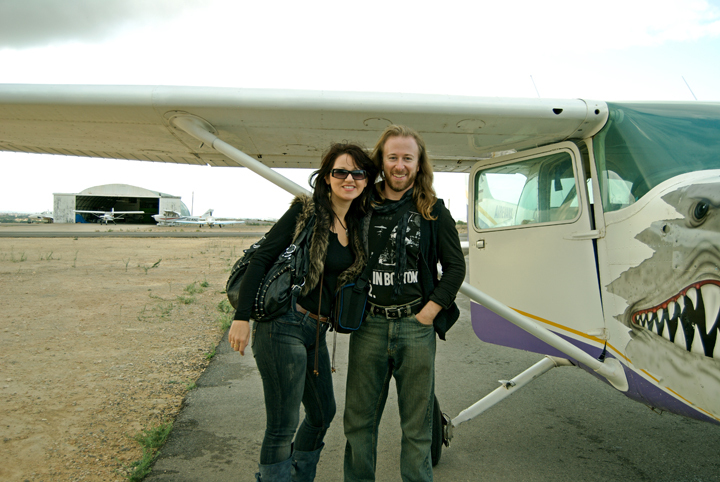 Fortunately, we are not scared of traveling by plane. We arrived in 2 hours and a half. It is incredible that we are only 2 hours and a half from that incredible city. We arrived at night and from the plane we could see the islands' lights. Our hotel was in Lido Di Jesolo, 20 meters away from the beach. To reach Venice we took a bus that left us in Punta Sabbioni, and from there we took a "vaporetto". Vaporettos are ships that take you to the islands and through the canals of Venice. 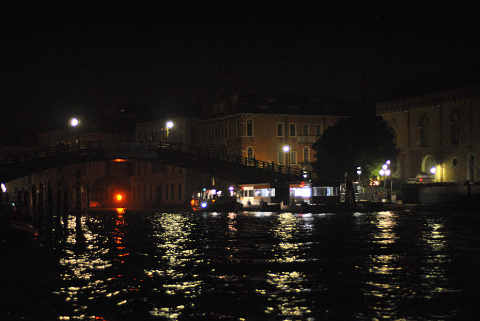 There are 3 ways of going to places in Venice: using the vaporettos, or the aquatic taxis, or the traghettos. The best option are the vaporettos, as you can buy a bonus card valid for hours or days, both for the vaporettos between the different islands as well as for the vaporettos of Venice, as it is the same business, ACTV's ships. And you can use as many of them as many times you need, because the card is for hours not for uses. The aquatic taxis are very expensive, but they have the advantage of comfort as you can go alone in them. About the traghettos, they are a kind of gondola, but it only takes you from one side of the canal to the other, all straight. We only saw two in all the time we were there. 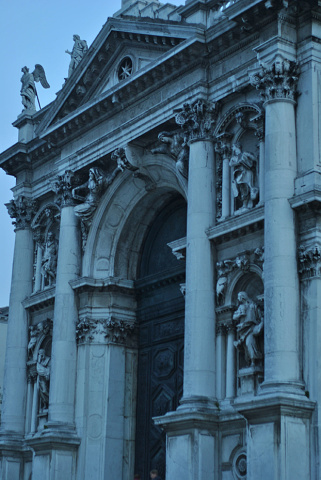 When we arrived to Venice with the vaporetto it was an incredible sensation, because the stop was in San Marco Square, and you immediately find stunning buildings, and you feel amazed by the magnificence of the architecture. We had a small walk, and there was a priest going out of a church that had a really medieval appearance, with long gray beard, a brown tunic, the belt was a rope... I was amazed! 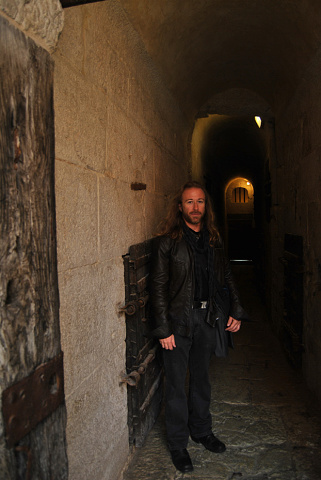 I told Jordi to take me a photo besides that priest, but suddenly a mobile phone rang and the medieval magic disappeared LOL! 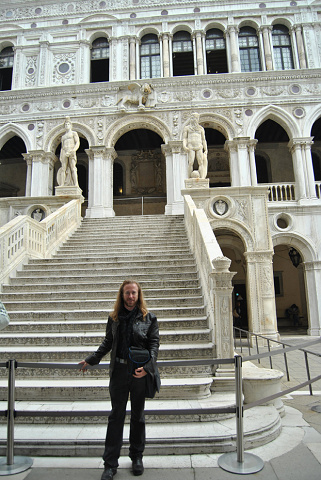 After that we went to the Palazzo Ducale, one of the most awesome places that I've seen. With the entrance ticket, which costs 16 euro per person, you can also visit the Correr Museum, the Marciana Library, the Archeologic Museum and the Weapons Museum, Ponte Dei Sospiri (Bridge of Sighs), and the dungeons, from which Giacomo Casanova escaped (through the roof of the Palazzo Ducale... we wonder how could he make it??? But he did it!). The paintings were full of details, and were enormous in size. Inside a scene there can be as much as twenty scenes more. Hundreds of details... It gave me the sensation that no matter how long we looked at them, we may miss something. And all artworks are in perfect condition, as no centuries had passed. 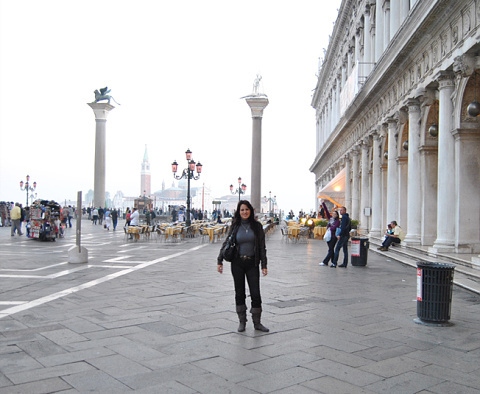 One of the most impressive thing in Venice is its huge Piazza San Marco. At one side of San Marco there is the Orologio. Every hour, two sculptures made of bronze hit the bell, and all the hundreds of tourists prepare our cameras to capture the moment LOL! The square (piazza) is a place full of life, magic. 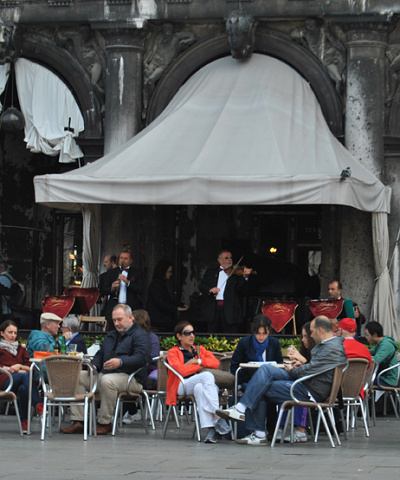 Some cafes have hundreds of years, and they have orchestras that play live music all day long. In Piazza San Marco you can also taste their famous gelattos (ice cream). For 1.75 euro you can enjoy one of the best ice creams we ate in our lives. The square is always full of doves. Although it is forbidden to feed them, people do it anyway. And if someone just fills his hand with popcorn, doves will get over it as if they were trained. 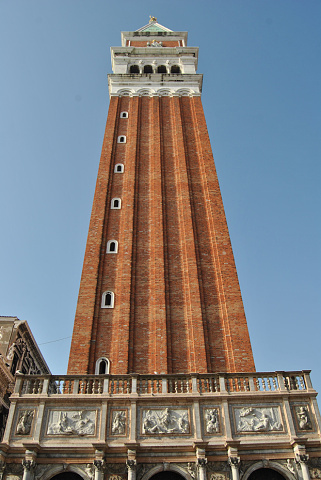 In the same Piazza San Marco, there is the tower of Campanille. 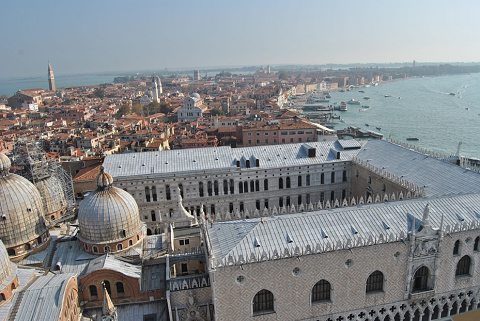 You can take an elevator to go up, and watch Venice from the highest point of the city. Another of the most beautiful places in Venice is the Basilica of San Marco, absolutely gorgeous. Marble, carved wood everywhere. You can watch the "Pala D'Oro" that is an altar retable full of gold and rubies, sapphires, emeralds, and all kinds of precious gems. In the same Basilica we saw some saints relics, and a big sword made of gold. We really resisted to go to the hotel early. 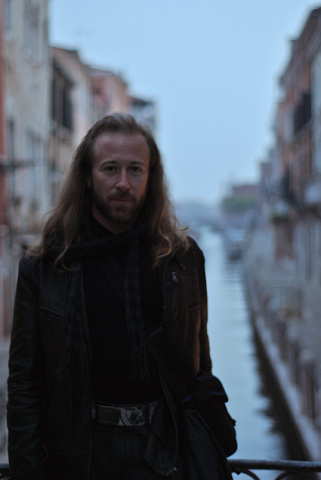 So the days we were in Venice we slept about 4 hours, and we arrived at the hotel with our feet smashed of so many hours walking, but we wanted to live it all, and we lived Venice with intensity. One of those nights, we went to listen a concert of Vivaldi at Chiesa Della Pieta, a monumental church, featuring one of the most important violin players of Italy, Alberto Martini. It was really great! If you can listen Alberto Martini, it is highly recommended. 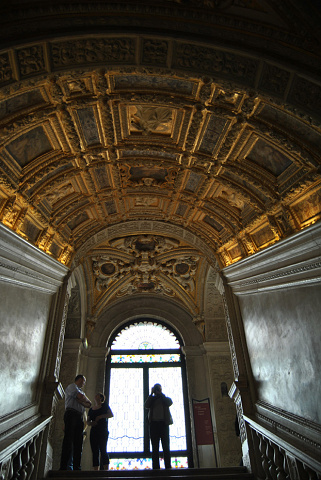 Another place that you can't miss is the Gallerie Dell'Accademia. 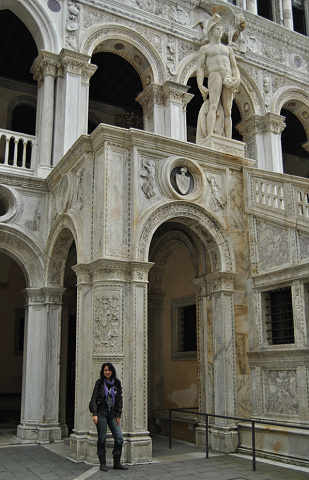 Another one we loved was the Scuola Grande Di San Rocco. If you go to their websites and watch the images, they really don't reflect it, it is much more gorgeous than you can imagine! Going upstairs, watching those paintings, you can get dizzy and fall from the stairs LOL! 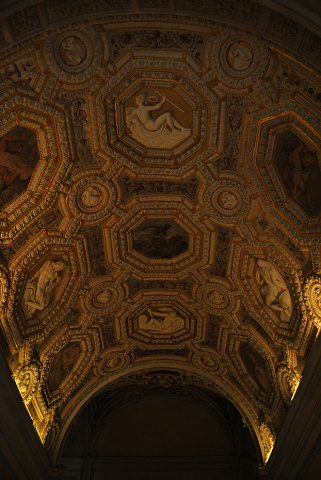 Imagine that, they give you mirrors to look at the ceilings' paintings... something very useful because in Palazzo Ducale, Jordi and I ended with neck ache because of looking at the paintings. 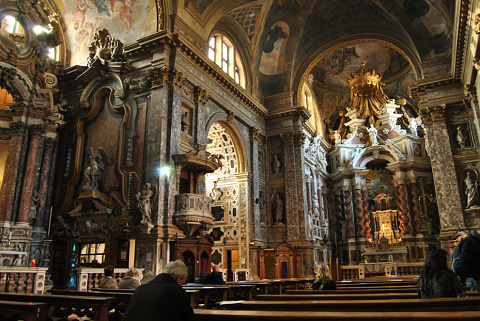 Another place that you can't miss if you go to Venice is the Basilica Of Santa Maria Gloriosa Dei Frari. Although we visited other churches because it is a city full of churches, and all of them are really beautiful, both outside and inside. We also were able to enjoy an Italian mass. It is recommended to enter all the buildings that you find in Venice, because they are of an artistic richness out of what is common. We entered by chance in the Church of The Scalzi. You can reach it taking the vaporettos of lines 1 or 2 (2 is better because line 1 makes too many stops), and go out of the vaporetto at the stop called "Ferrovia" (the train station). The Church is in front of the stop. In that same stop, you can find the Brek restaurant, in which for little money you can eat good Italian food. And they have free Wifi service. Eating at Venice can be expensive, you have to be careful to choose were to eat, and although the quantity of food can be generous, the bill too LOL! Coffee is also very good at Venice. We tasted an excellent espresso at Bar Da Gino in the district of Dorsoduro number 853, two excellent cups for only 3 euro. Something that called our attention was that some people were playing cards at a table, something that is also very usual here in Spain. Actually, Spanish and Italians are very similar in personality. The language is also very similar, you can talk in Spanish, and they in Italian and we can understand each other quite well, although none of us know the other language. Anyway, the best is to speak in English, which seems to be the universal language because everybody understands it :) We talked with people from many countries. This is the beauty of traveling, you meet people from other countries and they tell you their experiences and tricks. Venice can be a big labyrinth, but we discovered a way of not getting lost in their beautiful streets, and it is looking up. You will always find a dome of a church that will help you to know where to direct and know where you are. 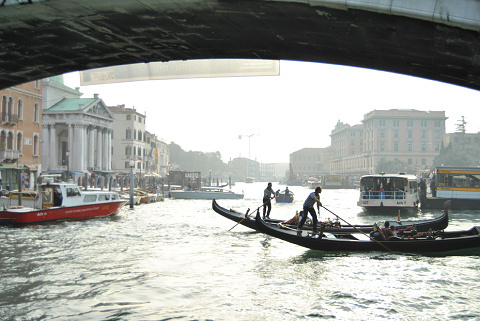 It also helps to know in every moment in which direction is the Grand Canal. There is a very typical drink in Venice called Spritz. We tasted two Spritz with Aperol, that is the most popular, at Bar Lucano, in San Marco 480. It is a wine with liquor, sparkling mineral water, a slice of orange, and an olive. It is really tasty, and feels really soft, but when I stood, I really felt it had alcohol, because I got dizzy LOL! We also became very fond to envoltinos, which is like a rolled sandwich. Other times we also tasted the rolled pizza. Jordi ate a lot of pasta, but it's a little hard for my stomach. Another beautiful thing in Venice are the vegetable and fruits that are carried by small boats and sold directly in the canals to the people in some squares. There is also a big market at Rialto. Inside the bridge of Rialto there are lots of souvenirs and jewelry shops. 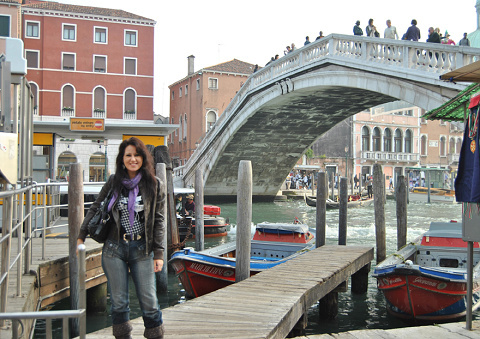 In Venice there are a lot of bridges. But one that we searched intensively was Ponte Dei Pugni, and we found it! It appeared in one of the paintings of the Palazzo Ducale. We also read about it. Hundreds of years ago, rival bands fought over that bridge. The winner had to throw his adversary from the bridge. In the bridge you can still watch the footprints in which they had to place their feet, and we could put ours over them, it was very fun. People are adorable in Venice. They were very kind, even in a moment in which we got lost, a very kind lady helped us to find the vaporetto. 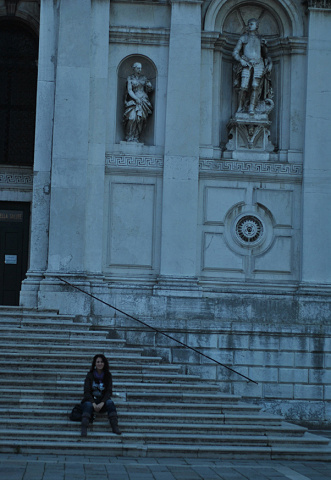 She also told us some anecdotes of Venice. We found an artisans district in which we bought some souvenirs. One of them was a ceramist whose family made clay sculptures and reliefs, he was in that moment making some of them and showed us how he did it. We bought one that depicted San Marco's Lion. San Marco is always depicted with a lion, or sometimes the lion itself represents San Marco. Another artisan also made crystal in the way of Murano, and Jordi bought me gorgeous earrings :) We saw how he made the crystal works, and he told us that he knew Spain and he liked it very much. He even knew some of the Spanish sweets like turron. Sweets and cakes are very popular in Venice. We ate some of them and they were very tasty. But they are a bit expensive. Another church we saw was the church of Indiana Jones LOL! 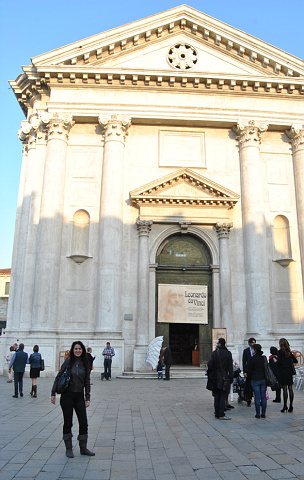 It is called San Barnaba, and it is the library in which Indiana Jones enters in the movie of Indiana Jones and The Last Crusade. Curiously, they were filming a movie in a cafe in front of San Barnaba. 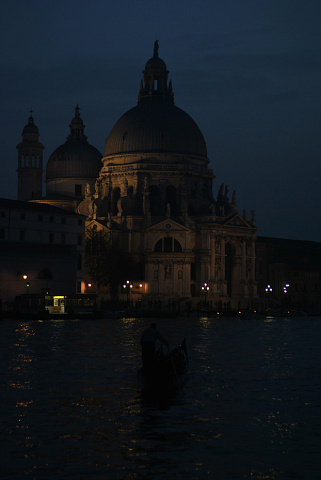 One of the places I liked most was the church of Santa Maria Della Salute. It is one of the first buildings that impress you when you arrive for first time in the ship, and at night it offers a magnificent view with the lights of the dusk. 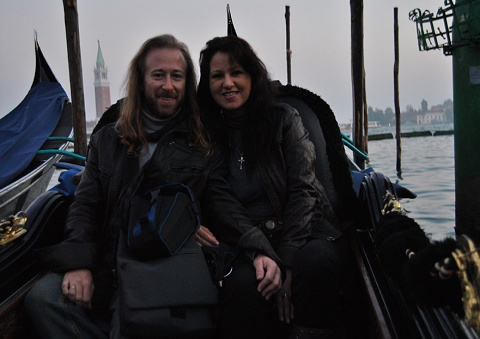 And of course, we couldn't be in Venice without taking a gondola! It has been one of the most romantic experiences of our lives. The gondolier sang some songs. We took the gondola at dusk and the night fell as we were sailing, so it was a gondola under the moon. When we passed the Ponte Dei Sospiri at the return, the gondolier told us that when the lovers passed two times under the Ponte Dei Sospiri, they have to kiss, so Jordi and I kissed :) Absolutely romantic! So when we went to the island of Burano, Jordi saw a lacework that depicted a gondola under the Ponte Dei Sospiri, and he bought it to have a souvenir of that moment under the moon. From the gondola we also saw the house of Marco Polo and also the one of Casanova. In the last day, we went to the island of Burano, because everyone asked us if we had not gone to the islands yet, and we were not able to left Venice LOL! 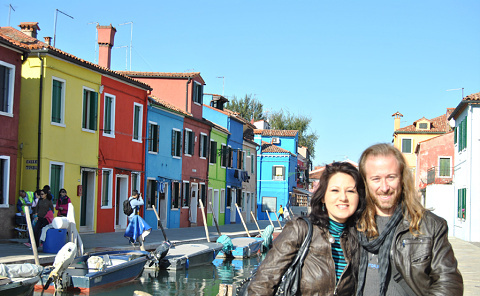 So we went to Burano very early, and after that, we went back to Venice LOL! 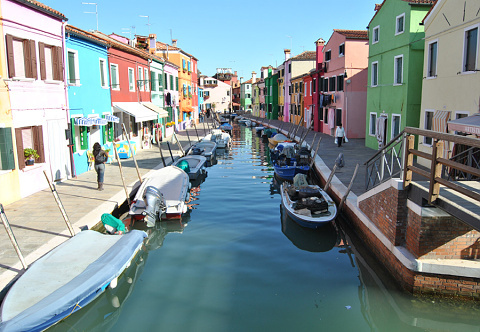 Burano is a lovely island. It is a very small island, full of colored houses, very very beautiful. Looks like an ancient village, that also has small canals and bridges, a very peaceful place. Jordi didn't stop looking at the houses and said "here they sell a house". We really could live there, there was so much peace. Burano is famous for the lacework, they sew very detailed images with needle and a small thread. We saw a woman working at one in one of the shops. There you can also find crystal of Murano. There we also bought some Venetian masks. So we had some of the best moments of our lives in one of the most magical places in the world. When we left Venice in the vaporetto, I was very sad, and Jordi told me "Don't worry, we'll always have Venice"
This is a collage with the photos of the launch of the book "El Arte Con Los Derechos Humanos" (Art with Human Rights). 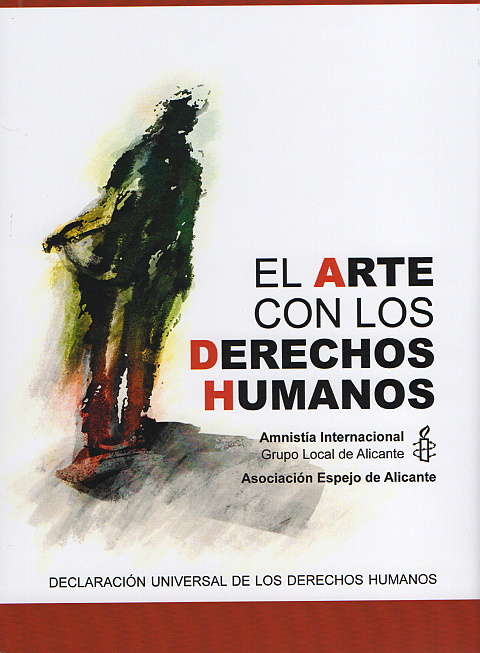 Below the photo from the artists presentation in which they gave the diplomas, is the cover of the book and the page with my illustration, which represents the right to universal Justice. I am honored of taking part in this 2 years project, which was coordinated by International Amnestry and the local authorities. 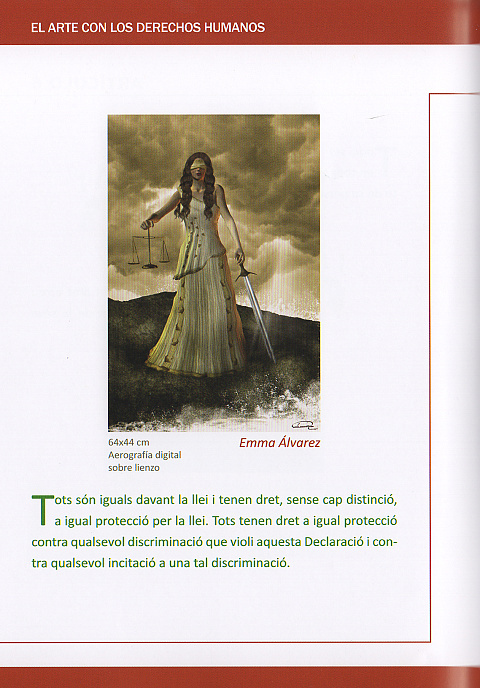 The book is going to be distributed in some schools, and it's an honor for me that children learn the right to Justice through a work of mine. 611 poses counting full/mirror and partials with mirrors and zeroes. Our new product for Renderosity is hair for V4, M4 and Tyler, with 63 morphs to customize and move it, and 20 hair mats with all possible natural colors plus fantasy colors! In addition, there are 2 fantastic addons by -Wolfie- and Silver! Now you can have it to fill the images of your imagination! 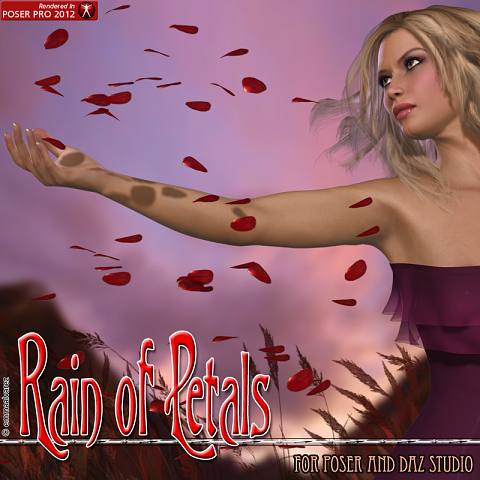 Very efficient and realistic, and lightweight, you can fill a big scene with hundreds of petals and renders fast! 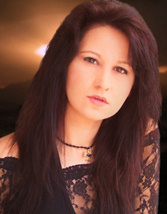 Use for pinup, romance, fantasy scenes... A must have in your Runtime!!! My husband and I joined our stores at Renderosity, changing the name to EmmaAndJordi. Why did we do this? I started my shop at Renderosity 4 years ago with my name (emmaalvarez), and some time later I encouraged Jordi to open his (he used the name of his website,hiperia3d, and later -Jordi-). But because my shop was already well known, it remained that way. With the passing of time we realized that this politic had lots of drawbacks: to make bundles, sales, ads... Everything was split in two. Everything had turned in something tedious and without sense. Now everything stays the same but better! A big hug for everyone! From September 17 to October 11 if you buy 2 products from EmmaAndJordi at Renderosity, you get 1 more for free! Make your purchase, then send us a sitemail through Renderosity with your order number, and in 48 hours we will send you the product you choose for free!!! Note: For those who don't know how to send a sitemail, it is very easy: do it clicking this link after you purchase, or visit our artist page at Rendo, and click the Contact link. Elaborated, elegant, versatile new pack of poses. Organized Poses means: Get always the pose that you want! 30%Off as launch price !! Get them now! - Apply a full body pose or its mirror, get a one-click inspiring pose! - Mix and match poses, and get the look you want! Organized Expressions means: Get always the expression that you want! - Mix and match expressions, and get the look you want! Combine and mix them for maximum expressiveness...Now for GND Anastasia! 152 expressions counting full+partials and their mirrors. My latest product: Frame Me Baby! Assorted single and couple poses for V4 + Frame figure + Frame poses + 12 frame mats + 15 cameras + poser utility to parent the frame to V4 + utility to set frame shadows on/off! You can find it here: Frame Me Baby! and partial expressions that move the mouth and lips only, and mirrors. Combine them for maximum expressiveness. 169 counting full/mirror and partials with mirrors and zeros. A pack of 611 poses for V4, including full body poses and their derived partial and mirror poses for head and neck, eyes, arms, legs, upper body, lower body, hands and reset to zero poses. 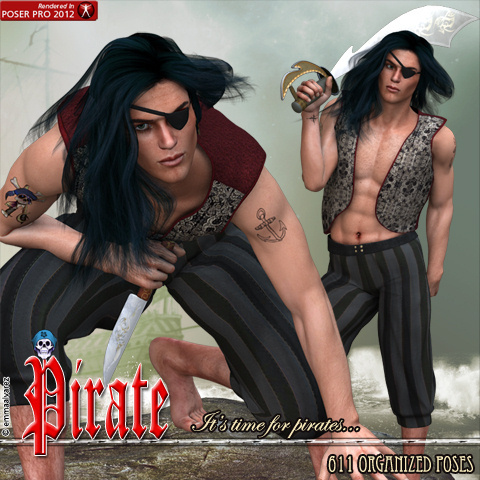 This product is valid for Poser and DAZ Studio. 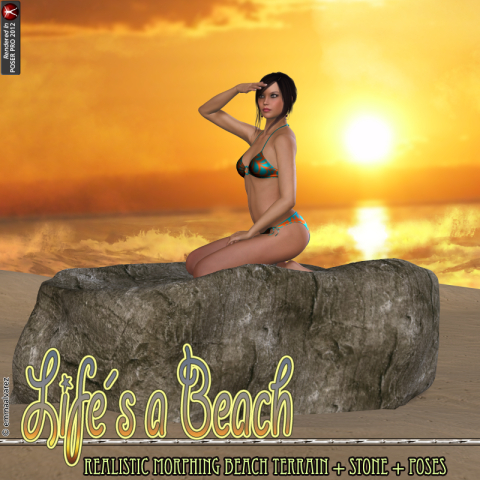 I have just released Ninette for V4 and Genesis, for Poser and DAZ Studio. Includes wet skin shader, tattoos, and many other features, in a beautiful female character! to make formations and landscapes. 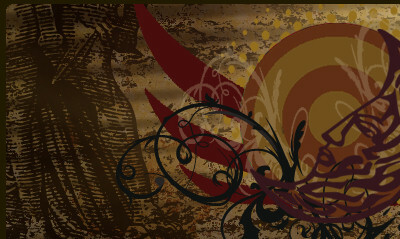 Use for pinup, romance, dessert, western, pirate, sci-fi, fantasy scenes... A must have in your Runtime!! !